Denson Plumbing can safeguard your commercial or residential property and prevent public water supply contamination. Every connection to the city supply of water has the potential to provide cross-connection to become a contamination hazard. 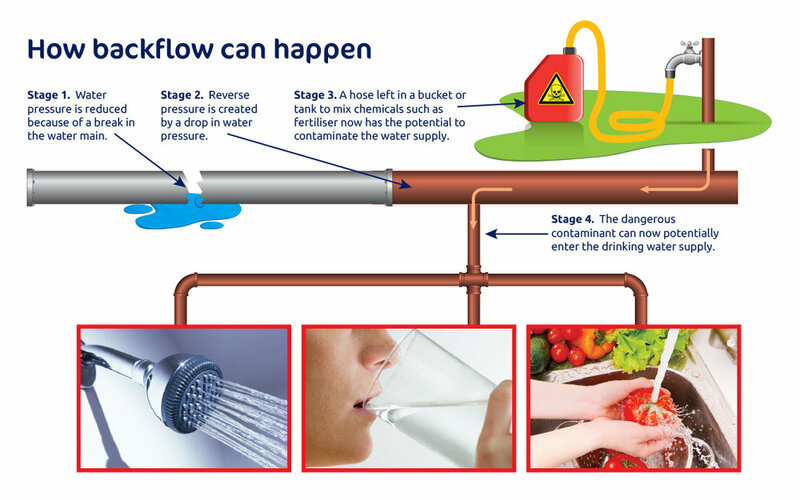 Backflow into the public water supply, due to either back pressure or back siphonage from appliances or equipment, can and does occur regularly. It's important that an appropriate backflow prevention device is installed to protect all consumers of public water. We can test, assess and install backflow prevention services to meet local council regulations. Being waterwise begins with us, let's talk about safeguarding your water systems.